The second of the DRXC league races took place this weekend at Holly Hayes wood in Whitwick. A technical course with lots of tree roots and rocks, twists and turns and 5 stream crossings, on relatively dry ground. 30 runners represented Ivanhoe, some of them trying out Cross country for the first time. Ramzi Sidani led the men's team in 28th position, ahead of Karl Wideman in 45th. 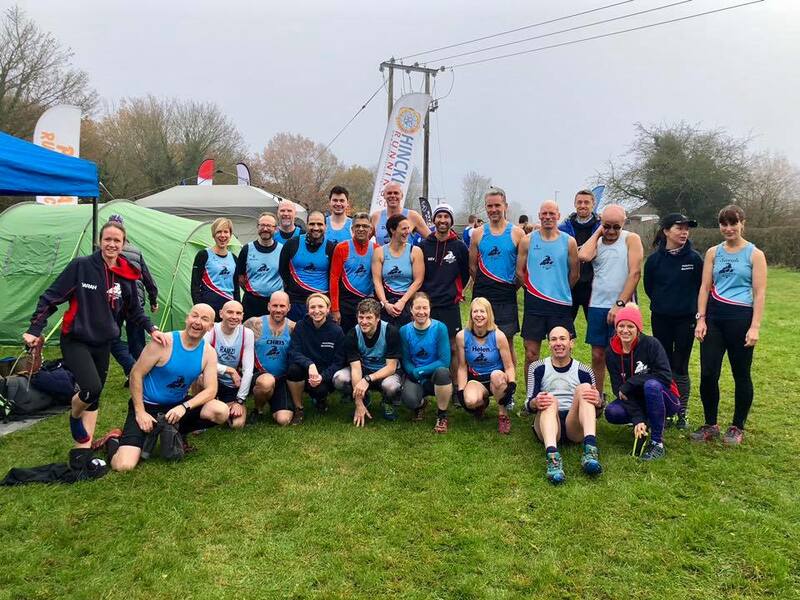 Nick Rowles in 73rd, Gerard Eivors 93rd, Mark Bradford 145th, Chris Thurburn 152nd, Chris Finney 223rd, and Andrew Botrill 232nd positions, completing a strong set of team scorers. The rest of the men followed in quick succesion: James Ogilvie, Kev Laz, Damon Bland, Martin Yeomans, Pedro Lima, Roger Weston, Tim Moore, Alan Edwards, Mukesh Deva and Keith Baron. First Home for the Ladies was Emily Wideman who stormed through to 17th place. Sarah Terry finished in 27th position, with Faith Tipper not far behind in 30th. Andrea Trickett was final team scorer for her fist cross country with 69th position. The rest of the Ivanhoe women did a stirling job of supporting the team, Julie Taylor and Teresa Talbot came through in 81st and 85th, followed by Suzanne Parish, Sandra Lawless, Helen Finn, Carly Williams, Sarah Malone and Grania Towle.